Mexican food is one of my favourite cuisines. There are so many different textures and flavours and more often than not, the ingredients are uber healthy too. 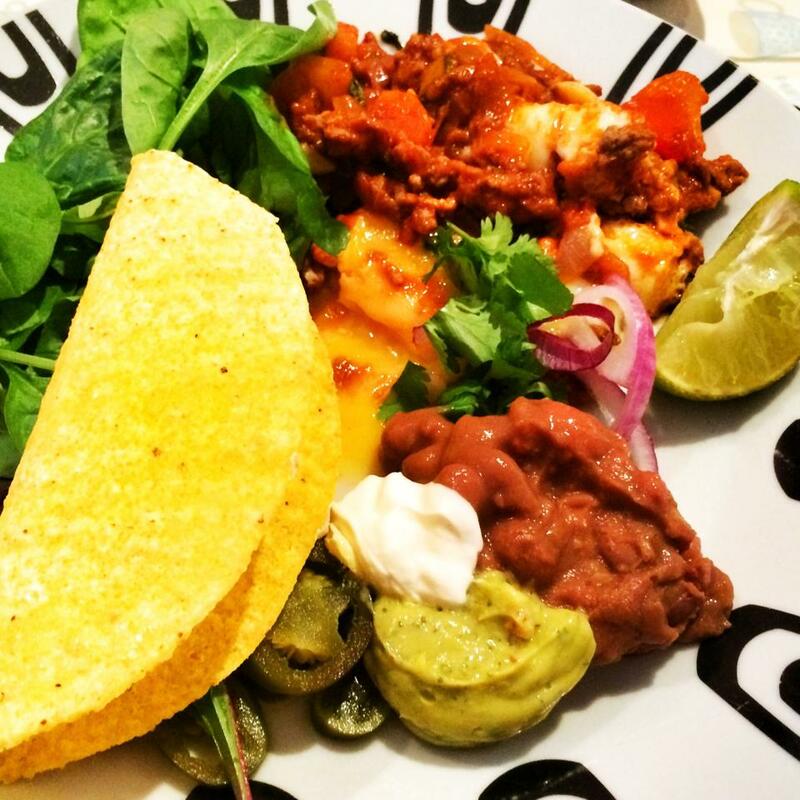 I often cook with mince, usually closer to payday when it’s all I have left in the freezer, and this week I fancied a brand new new use for it (over and above chilli, bolognaise and lasagne) and so I decided to combine Mexican and mince and voila, it gave me tacos. These really were delicious and a real ‘sharing’ meal. I just whacked everything including the pan of mince in the middle of the table and let everyone dig in. The OH had his with Uncle Ben’s Spicy Mexican Rice (5sp for half a packet) but I just had mine with the taco shells and lots of salad and it was nice and filling enough without. 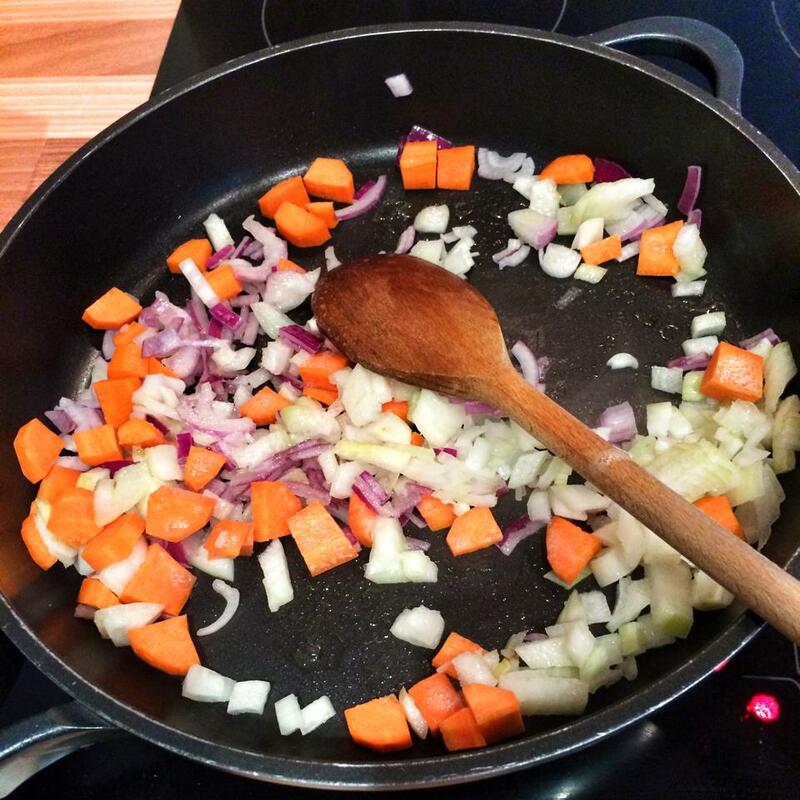 Pop the onion in a large frying pan and begin to fry in low cal cooking spray for a few minutes. Add the peppers and carrot and fry for another few minutes. Add the garlic and fry for another minute more. Add the mince and begin to brown. After a few minutes add all of the spices, reserving 1 tsp fajita seasoning. 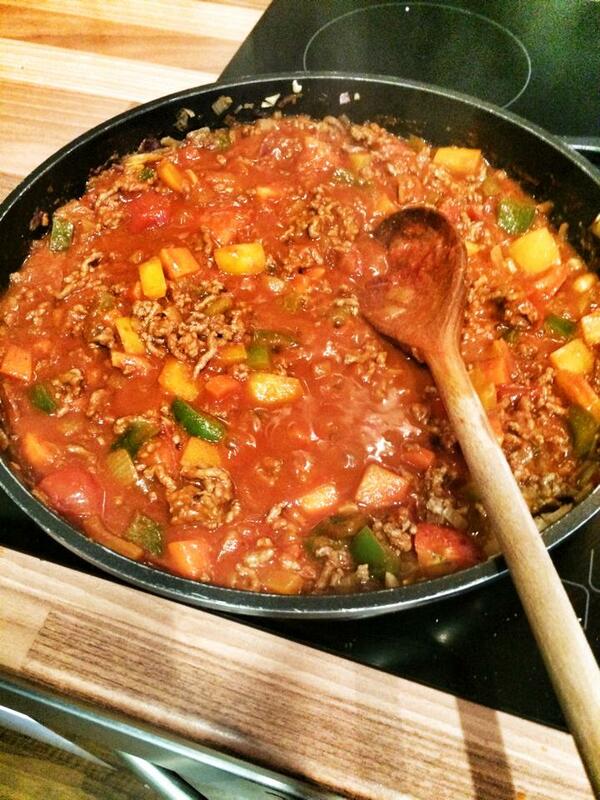 Once the mince is browned add the tomato puree with a little splash of water and cook until the tomato puree is nicely combined into the mince. Next crumble your stock cube into around 200ml boiling water. Once dissolved, pour 100ml of the vegetable stock into the pan along with 200ml of the passata. Add the remaining fajita seasoning and season well. Add this point you could add some kidney beans or butter beans but remember to add the points! Simmer on high for 10-15 minutes so that the sauce starts to reduce nicely. I add the remaining 100ml of stock as I’m going to make sure there is enough sauce for four, but so that it’s not too watery. Just before the sauce is ready, throw in the coriander, reserving a little for serving, give a good stir. Pop the taco shells in the oven for 3-4 minutes to warm through. Assemble all your ingredients on a nice big table and dig in! Just tried these. OMG! They were lovely! Would never guess that they are weight watchers friendly. Even my fiancé enjoyed them and he hates it when I cook weight watchers friendly food!